Today we will continue our discussion on keeping your home safe. Avoid the temptation to staple or nail cords to get them out of the way. Here is another good use for a twist tie or simply tape the cord to the floor under or wall. Avoid the temptation to put the cord under a rug where it would be a safety hazard. 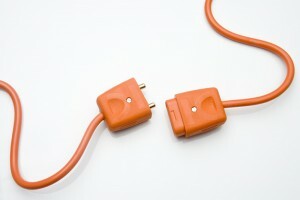 Are you aware that extension cords should only be used on a temporary basis? They are not intended to be permanent household wiring. I wonder how many of us are violating that safety rule. Make a pass through your home periodically and look for frayed cords, cords with cracks or kinks. This includes power tools in your garage or holiday lights. Remind your children that cords are not to be used as jump ropes or a leash for the dog. They should also not be used as a temporary clothes line for wet swim suits or towels. They should only be used for their intended use. Do not make modifications to a cord and then plug it in. This includes using duck tape to temporarily fix a cord. Use the right cord for the right job. Be sure the cord is rated for outdoor use if you intend to use it around your deck or pool area. When unplugging a cord, always pull from the cord at the outlet and not on the cord itself. Only use the size recommended for the fixture or lamp. Here’s a good one. Make sure bulbs are screwed in securely because loose bulbs may overheat. Be sure and use bulbs that have the right wattage for each fixture. Keep in mind that higher wattage bulbs can cause a lighting fixture to overheat. 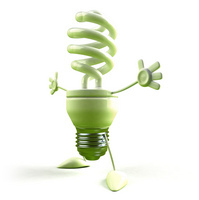 Switch to more efficient compact fluorescent bulbs. This will provide the same level of light at a much lower wattage. Watch this video for tips on handling the new fluorescent bulbs. Always unplug a light fixture before changing the light bulbs. Myrtle Beach Electrician Pros specializes in residential lighting installation and can help you with practical and aesthetic projects for your home. Indoor lighting is a key part of interior design, and can make a house truly feel like a home. It can also be an intrinsic component of landscaping. However, lighting represents a major component of energy consumption, accounting for a significant part of all energy consumed worldwide. Therefore, proper residential lighting installation can save you money and conserve natural resources at the same time.